Dog Itching? Skin or liver problems? 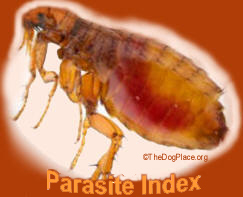 Flea Allergies? Learn from this Dow Chemical lawsuit. 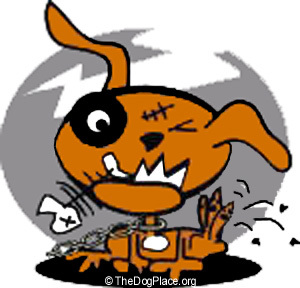 Veterinarians treat symptoms but you have to be the environmental detective. A suit against Dow Chemical Co. charged that chemicals in Dursban, a flea and tick spray, caused severe damage to their unborn children. The Burke family of St. James, NY filed suit against Dow Chemical Company and Core Marketing, the company that produces Rid-A-Bug. Their 1993 suit charged that chemical toxins in the spray cross the placental barrier and caused severe damage to two of their unborn children. As you read this horror story, bear in mind that these toxic chemicals are still in use in 2011. According to Wikipedia, the insecticide is still widely used in agriculture and "Dow continues to market Dursban for home use" and claims "Dursban is safe for people" and in Iran, where it is widely marketed, that Dursban has "an established record of safety regarding humans and pets." Perhaps we should pull our troops out and just send more bug spray! The Burkes first child was born with congenital cataracts, static encephalopathy (brain damage, hydrocephalus ("water on the brain"), and cerebral palsy, a medical term which covers a wide number of muscular and motor disorders. The wife was pregnant again before they suspected the magnitude of the problem or it's possible source. The Burke's dog Dino, came and went as he pleased. Concerned about tick-related disease, they regularly used ® on the carpets. 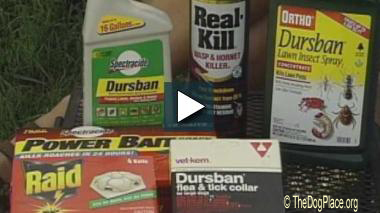 The flea and tick killer contains xylene (a solvent) and chlorpyifos; its trade name is Dursban. It is a neurotoxin. Not satisfied with do-it-yourself treatments, the Burkes decided to call an exterminator who told them they would have to leave during the treatment. He warned them that the pesticide could harm youngsters and that Mrs. Burke, being pregnant, could also be at risk. That was the tip-off, raising horrible doubts for the Burke family. Sure enough, their second child was born with cataracts, severe brain damage, and cerebral palsy. There are many more details to this tragic story. The point is, we still don't know enough about short term exposure to certain chemicals (agent orange is a good example of scientific blundering) much less the long term effects on human health. And who is looking out for your pets? A report published in Home Mechanix reveals carpets not only attract and hold dirt, dust mites, mold spores and other micro-organisms, including toxic pesticides, and even lead. Carpets retain many of these contaminants in spite of meticulous vacuuming. In addition, wall-to-wall carpet must be cleaned with strong chemicals that may harm your children or pets. 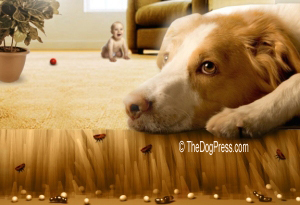 Remember, children and pets are several feet closer to the floor and make full body contact with the carpet in addition to directly inhaling chemical content. A safer solution would be area carpeting, which can be removed and cleaned with safer products. The development of highly toxic substances has enabled the United States to lead the world in agricultural production, but not without health costs. According to Jeffrey Brent, M.D. of the Rocky Mountain Poison Control Center in Denver, common pesticides such as Diazinon and Malathion can be particularly hazardous. Dr. Brent says that organophosphates "are more harmful to pets than fungicides or herbicides such as Chlorothalonil or Dicamba. Most herbicides are fairly harmless to most pets." Relying on product labels can be foolhardy. Ingredients may not have been tested for that use or approved by the appropriate agencies. If an ingredient is not specifically on the forbidden list, it may be used even though known to be toxic. Beware of lawn chemicals which are absorbed through your pet's paw pads. 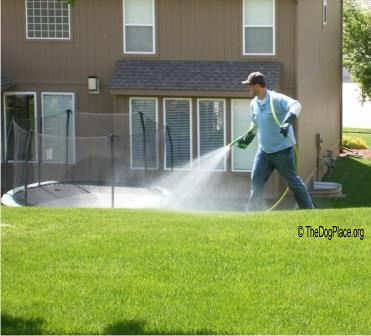 Never let pets or children out to play in the yard when the grass is wet as this increases absorption. Acid rain can contaminate outside water buckets as well as lawn surfaces. Approach new medicines and vaccines with caution until they have been proven in public use. If in doubt, do your own online research because chemical and pharmaceutical companies spent $billons on advertising their products. Good veterinarians are trying to inform parents and pet owners about the serious, often deadly health risks in vaccines. The chemical pesticide Dursban, long used for termite treatment, was finally banned and supposedly replaced by environmentally, safe natural products, thanks to the internet and our ability to share problems. However, lawsuit after lawsuit and evasive action by Dow Chemical's battery of lawyers, delayed pulling these products from the market and they are, at this writing, still used in agriculture. Education is the key to prevention. 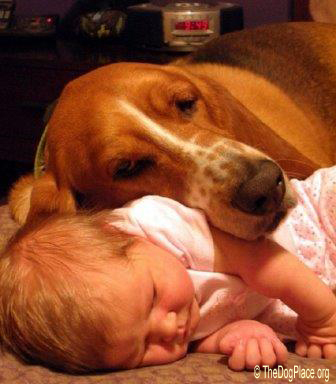 Your pets and children depend on you to understand and eradicate the risks of chemical toxicity in their environment. Among the best phone numbers to call in an emergency is 1-800-222-1222 the National Poison Control Center which will automatically connect to their free service in your state. Depending on who answers, you may get quick, basic information for animal poisoning and it is free, 24-7.